Contrary to a recent rumor, Peter Jackson will not be heading to the DC Extended Universe (DCEU) anytime soon. Last month, a rumor surfaced that Peter Jackson and his team is trying to decide which project to take on next, which would have either been an unspecified DC movie or " a return to Middle Earth," meaning the Lord of the Rings series. 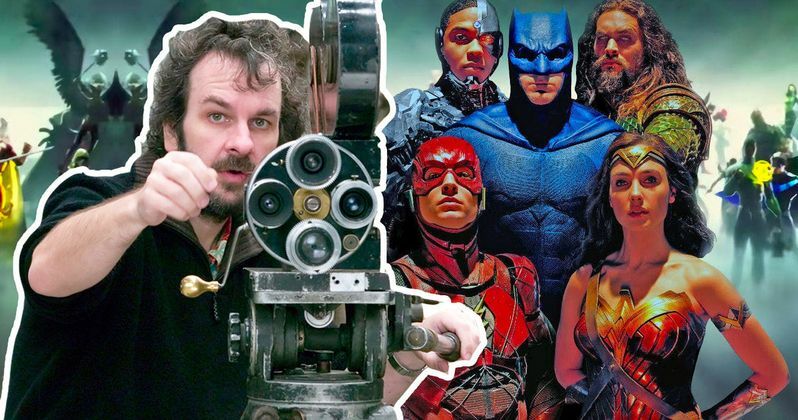 While doing press for his upcoming movie The Mortal Engines, in theaters this December, Jackson made it clear he isn't taking on a DC movie, or The Lord of the Rings series on Amazon. Here's what he had to say below. "It's not true, I have not had any discussions about it, I'm not a fan of comics, I've never read it, and so it's not me. I'm not particularly interested in adapting one to the cinema, it's not true at all. A DC film and the series Lord of the Rings, it's done without me, but I'm happy.I have plenty of other projects that take up my time!" (laughter)." One of those "other projects" is a new World War I film that he's making entitled 14-18 Now, which will use actual archive footage shot during battles that took place more than 100 years ago. The footage from the Imperial War Museums' extensive archive has been restored with new technology to make it look like these scenes were shot in a modern environment, and not a full century ago. While no release date has been issued, the film will be screened in U.K. schools and cinemas, and it will also air on BBC One. As for any other projects Peter Jackson may be working on, nothing has been officially announced, but there have been rumors throughout the years about the director still making a second Tintin film, entitled Prisoners of the Sun. Steven Spielberg directed The Adventures of Tintin in 2011, with Peter Jackson producing, and it was believed that Jackson would direct the follow-up, with Spielberg and Jackson swapping duties in the director's chair for each subsequent movie. However, there hasn't been any sort of meaningful traction on the Tintin sequel for quite some time now. Ironically, Jackson's Tintin partner Spielberg is in fact heading to the world of the DC Comics, with the blockbuster announcement made in April that Spielberg will direct Blackhawk, based on the iconici 1940s DC Comics character. It may be quite some time before that project comes to fruition though, with Spielberg directing West Side Story next, followed by the long-awaited Indiana Jones 5. Still, while Spielberg will eventually be getting ready to enter the DC Comics fray, it seems that won't be happening with Peter Jackson anytime soon. Given the struggles the DCEU have had over the past few years, it would be interesting to see if DC actually does try to pursue Jackson in any capacity now, but that seems unlikely, given that Jackson has never read any of the comics, and, judging from his interview with Allocine, he has no desire to do so as well.